Federal-Mogul Holdings Corporation (NASDAQ: FDML), recently agreed to a five-year contract extension with BorgWarner Emissions Systems to continue the exclusive global independent aftermarket distribution of BERU® ignition products. This agreement further strengthens Federal-Mogul's market leading position in global ignition products and will see the company continue as the exclusive licensee of the BERU brand to the aftermarket. Under the new agreement, beginning in January 2018, Federal-Mogul will leverage its global aftermarket organization to sell BERU spark plugs, glow plugs, ignition coils and connectors, glow control units, ignition leads and sensors. 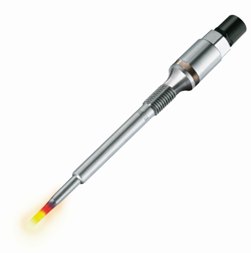 The BERU glow plug product line is recognized as a market leading diesel ignition technology. "We are pleased to continue the global distribution of the BERU products. Working together, Federal-Mogul Motorparts and BorgWarner Emissions Systems have leveraged BERU products' innovation and expanded the presence in the Aftermarket, with innovative customer programs like "F-M for Me", enhancing our offering to support our customer needs," said Martin Hendricks, President Global Braking and Regional President EMEA, Federal-Mogul Motorparts. "Our partnership with BorgWarner has already delivered many opportunities to our companies and, more importantly, to everyone who uses BERU products." "We are pleased to be able to deliver the benefits of BERU products to our customers through our partnership with Federal-Mogul," explained Brady Ericson, President and General Manager, BorgWarner Emissions. From this point on, Federal-Mogul's BERU product range will become an integral part of the company's "Garage Gurus" and "F-M for Me" programs. These initiatives not only deliver invaluable technical training to mechanics, but they also provide additional business support, so that garage owners and technicians can become even more effective in what they do. BERU customers will enjoy continued access to the extensive catalogue of Champion® products, brought to them via an improved logistical network that better meets customer expectations around service efficiency and delivery times. Champion is a globally-recognized Federal-Mogul brand that has operated in the automotive industry since 1907. The Champion brand portfolio includes spark plugs for combustion engines including lawn and garden equipment, motorsports, automotive, commercial vehicles and industrial machinery, as well as wipers and filters. BorgWarner will continue to design, develop, manufacture and sell BERU ignition products directly to customers in the original equipment assembly and original equipment service markets. Federal-Mogul Motorparts sells and distributes a broad portfolio of products through more than 20 the world's most recognized brands in the global vehicle aftermarket, while also serving original equipment vehicle manufacturers. The company's aftermarket brands include BERU® ignition systems; Champion® lighting, spark plugs, wipers and filters; Interfil® filters; AE®, Fel-Pro®, FP Diesel®, Goetze®, Glyco®, Nüral®, Payen® and Sealed Power® engine products; MOOG® chassis components; and Ferodo®, Jurid® and Wagner® brake products and lighting. Federal-Mogul Motorparts‘ BERU® ignition product portfolio includes the leading pressure sensor glow plugs for automotive diesel applications.